In late 2006 the Gamecube and X-box were for the most part dead. The X-box 360 was already on the market and the PlayStation 3 and Nintendo Wii were right around the corner. While the PlayStation 2’s life cycle still continues to this day, the Gamecube has been long gone. The Legend of Zelda Twilight Princess was the Gamecube’s swan song and the final showing of what Nintendo’s little purple lunch box could do. While it was the last big Nintendo published title on the system, there was another title from Nintendo that launched not long before it. 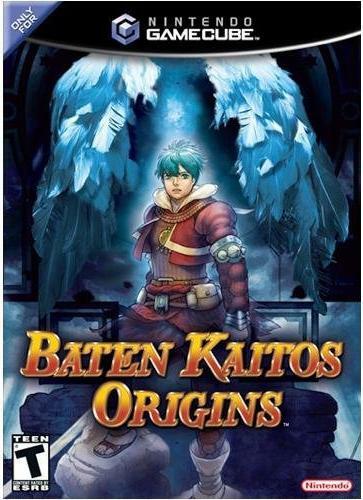 Baten Kaitos Origins is a prequel to the cult classic RPG Baten Kaitos: Eternal Wings and The Lost Ocean. Despite the low sales of the original title, Nintendo localized the sequel in North America. While not the best game in the Gamecube’s small library of RPGs, it definitely is a fun title that tries its best at making a unique and advanced combat system while keeping it as user friendly as possible.